Arte International, synonymous with the world's most exquisite, trend-defying wallcoverings, is a company that surprises the wallpaper market time and again with its refined, evocative designs and innovative concepts. Since 1981, Arte wallpaper has been making homes more beautiful the world over. Based in Zonhoven, Belgium, Arte has charted an international course from inception, establishing branches in France, Germany, Luxembourg and The Netherlands, and selling Arte wallpaper and wallcoverings in more than eighty countries. Vale Furnishers is proud to help enhance and refine your interior with Arte wallpaper, and is an Arte exclusive stockist for Surrey and Hampshire. Our collection includes Shibori, showcasing vibrant colours and patterns inspired by tie-dyeing techniques. We also offer Mahlia, an eye-catching vinyl wallcovering with metallic effects, and the truly unique Boracay, made with banana leaves, water hyacinth leaves and hand-woven abaca-fibres. 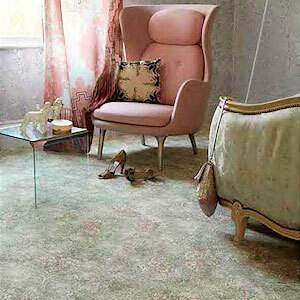 You can view these stunning and luxurious wallpapers by visiting our in-house interior design team in Farnham.